Las Vegas is a city of legends. Frank Sinatra, the Rat Pack, Bugsy Siegel and the city’s colorful mob era, neon and showgirls, to name just a few. Add to that list a legend within the world of real estate: the master-planned community of Summerlin®, a development of The Howard Hughes Corporation®. A community that has no comparison in Southern Nevada and a community entering its 30th year, that is continuing to set the standard for quality of life in a city once considered only a tourist destination. Easily one of the country’s most compelling and long-term real estate success stories, Summerlin’s roots and DNA are also the stuff of legend. The land on which the community now sits was purchased in the 1950s by Howard Hughes for possible industrial use. Luckily for the 100,000-plus residents who now call Summerlin home and the millions who visit Downtown Summerlin annually, those plans never came to fruition. It’s no surprise that Summerlin was ranked #3 in 2018 as the country’s best-selling master-planned community, according to RCLCO, a leading national real estate consultant. According to Gregg Logan, managing director, RCLCO, Summerlin has consistently appeared on its annual list 23 times since the firm began tracking 25 years ago. So how does a community that launched in 1990 continue to reinvent itself, maintain its value and attract so many of the city’s influencers and families seeking the valley’s most exceptional quality of life? With progressive architecture and design that is ever-evolving to meet the needs of today’s modern families. With more amenities than offered by any other community in Southern Nevada, including 250-plus parks, 150 miles of trails, ten golf courses, 26 top private, public and charter schools, office parks and the incomparable Downtown Summerlin®. With proximity to Red Rock Canyon National Conservation Area – the most stunning natural treasure in all of Southern Nevada that is the community’s backyard playground and exquisite backdrop. In just the past year alone, blockbuster and game-changing developments have thrived and popped up in Summerlin, adding to the community’s reputation as the most vibrant and exciting place to live (and now work) in all of Las Vegas. Two Summerlin is Downtown Summerlin’s second Class-A office tower. The area is becoming a popular spot for the valley’s premier legal, accounting and financial firms. At Downtown Summerlin, the community’s 400-acre urban core that features a walkable outdoor retail destination via 125 popular stores, restaurants and entertainment attractions, headliners include City National Arena, the official home of the National Hockey League’s Vegas Golden Knights whose wildly successful inaugural year made Las Vegas a hockey town overnight; and opening in April, Las Vegas Ballpark®, a 10,000-capacity baseball stadium and new home of the Las Vegas Aviators®, the city’s newly rebranded professional Triple-A baseball team of the Pacific Coast League (PCL) and affiliate of the Oakland Athletics. Besides being the best spot to play in all of Las Vegas, Downtown Summerlin has emerged as a preferred place to work. 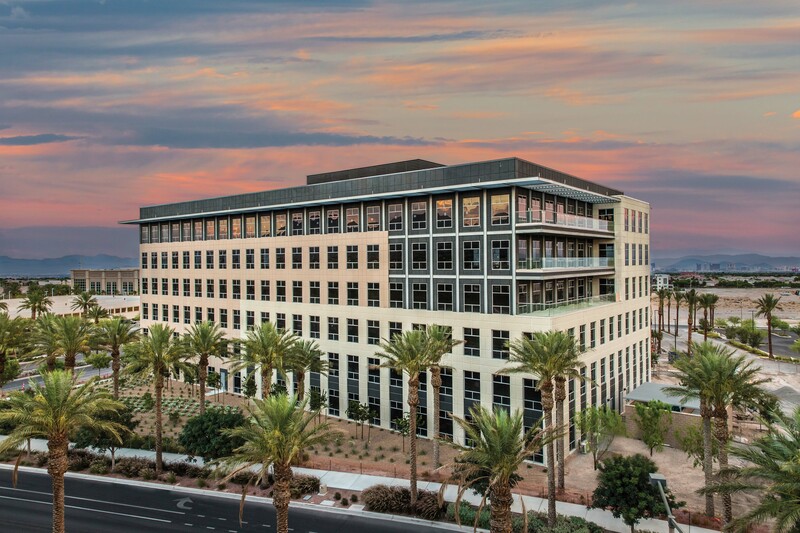 With two Class-A office towers, one that opened in summer 2018, Two Summerlin, is now home to many of the city’s leading legal, accounting and professional services firms choosing to move their workplaces closer to home. The area’s second luxury apartment complex will soon open at Downtown Summerlin. Tanager boasts 267 residences surrounded by abundant on-property high-tech and luxury amenities and the ultimate urban lifestyle created by all the area offers. The name, Tanager, is a tribute to the Curtiss Model 54 Tanager, an aircraft constructed in 1929, and a nod to Howard Hughes’ passion for aviation now reflected in an emerging Aviation Row theme for Downtown Summerlin that began in 2015 with the area’s first luxury apartment, Constellation. Currently home to nearly 45,000 homes of all sizes, styles, elevations and price points to meet multi-generational needs, Summerlin’s roster of national homebuilders is acclaimed and robust. Summerlin currently offers more than 180 floorplans in 34 neighborhoods in seven distinct villages and three custom home enclaves throughout the community. Homes are available in a variety of styles – from single-family homes to townhomes, priced from the $250,000s to more than $1 million. Among the community’s newest neighborhoods are its most exciting. Mesa Ridge by Toll Brothers opened in late 2018 as a gated enclave of 322 modern one- and two-story homes embodied in 14 distinctive and open floorplans ranging from 3,000 to 5,000 square feet, priced from the $700,000s. Nestled against the Spring Mountain ridgeline, Mesa Ridge homes offer unobstructed views of the neighborhood’s spectacular natural backdrop. And while Mesa Ridge residents enjoy access to all Summerlin offers, the neighborhood features its own amenities, including a resort-style pool, fire pits, outdoor kitchen, social lounge, bocce court, fitness center and more. As one of the city’s most scenic spots, The Ridges delivers consistently cooler temperatures, offers expansive and commanding views of the entire valley and provides sanctuary and privacy via guard-gated security. Like Mesa Ridge, Reverence by Pulte Homes on Summerlin’s northernmost tip enjoys exceptional valley views on its own 300-acre parcel that features some of the best scenery in the community. Reverence features six collections of homes in a variety of architectural styles and price points, with home sites available for all home designs and square footages ranging from approximately 1,500 to nearly 5,000, priced from the $400,000s to more than $1 million. The Clubhouse at Reverence is a centerpiece of this exclusive community by Pulte Homes. Reverence, which boasts exceptional valley views, offers six collections of homes in a variety of architectural styles and price points. Summerlin is easily the valley’s top choice for many of the city’s captains of industry, business and community leaders, celebrities and influencers. The Ridges®, a gorgeous, 793-acre exclusive custom home enclave that draws its name from the stunning ridgeline on which it sits, is home to the city’s who’s who. Talon Ridge is the newest custom home neighborhood to open at The Ridges, also home to Jack Nicklaus’ Bear’s Best golf course, a village centerpiece. Located along the southeast edge of The Ridges, Talon Ridge features 17 custom homesites ranging from one-quarter to one-third acre. Named by Forbes.com in 2003 as the third most exclusive gated community in America, The Ridges has continued to unfold in keeping with that distinction. Today, The Ridges is home to nearly 820 completed homes of which the majority are primary residences, ensuring a year-round vibrancy often missing from other luxury communities. 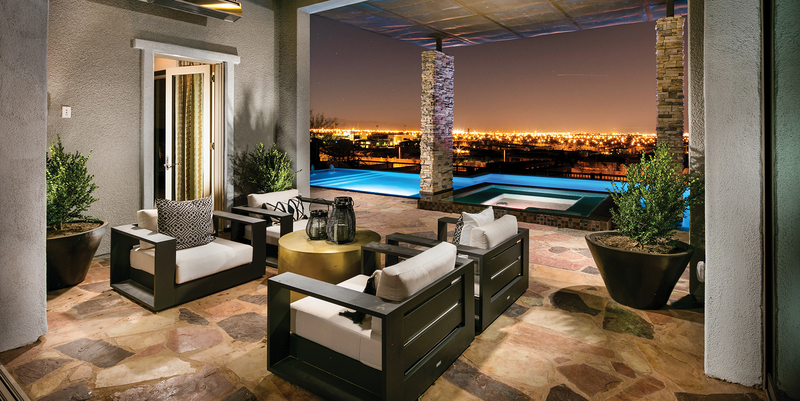 And just down the street from The Ridges is Summerlin’s newest luxury community – The Summit. A joint venture development of The Howard Hughes Corporation and Discovery Land Company, The Summit offer peerless, resort-style luxury living at a level not before offered in Las Vegas. Just a few years since it was announced, The Summit has sold more than half of its 146 ultra-exclusive homesites with some lots as large as three acres. Already home to a Tom Fazio-designed championship golf course, The Summit also offers 116 elegantly appointed villas, bungalows, suites and cottages in its Club Village. Summerlin’s distinctive natural topography is a big draw for homebuilders, developers and residents, alike. The community sits along the base of Red Rock Canyon, Southern Nevada’s most celebrated natural landmark that offers year-round world-class hiking, rock climbing and cycling areas. These opportunities, coupled with the community’s abundant parks and trails for walking and running, along with a number of well-organized youth and adult sports leagues, combine to encourage active lifestyles for residents of all ages. Red Rock Canyon National Conservation Area is the community’s exquisite backdrop and playground. The area boasts world-class hiking, rock climbing and cycling areas. 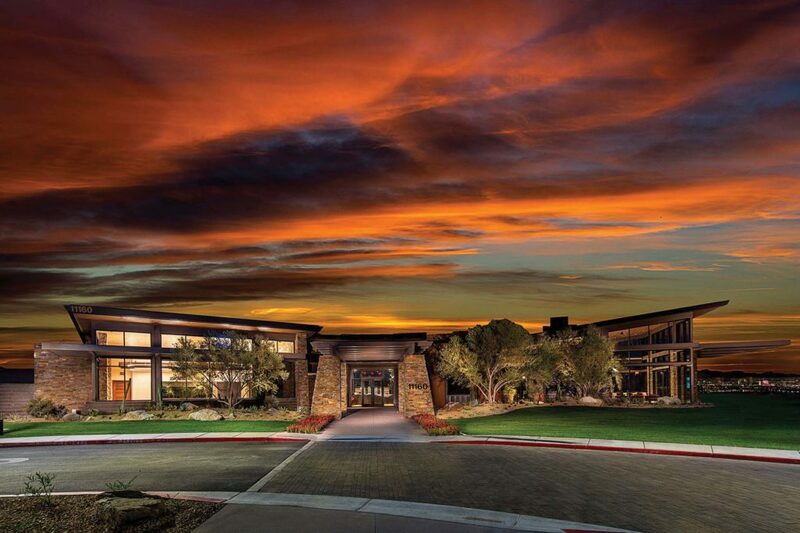 In fact, Summerlin was named in 2007 by National Geographic Adventure as the country’s best place to play and live, in large part due to the community’s proximity to Red Rock Canyon, along with its central location within just a few hours’ drive time from major national parks in Southern Utah and Northern Arizona. Drive time from Summerlin to McCarran International Airport and the Las Vegas Strip is about 20 minutes along the 215 Beltway, giving residents easy access to world-class dining, shopping, entertainment, and now professional sports. The new NFL Las Vegas Stadium, future home of the Raiders, will open for the 2020 season; and T-Mobile Arena, is frequently abuzz with the Vegas Golden Knights, the city’s sports darlings and fan favorites. When The Howard Hughes Corporation set out to develop an incomparable master-planned community in the 1980s on what was then considered somewhat barren land miles from the Strip, little did company executives know their vision would soon define quality of life in Southern Nevada. What started out as a big idea, is still today a big idea that is constantly being refined, reimagined and redefined. Creating the best place to live in all of Las Vegas is no small task, but it’s an investment in Las Vegas that continues to pay off in spades for all associated with Summerlin. And with the April 2019 opening of Las Vegas Ballpark and the arrival of the Las Vegas Aviators to Summerlin for the Minor League baseball season, the community is about to hit yet another home run.